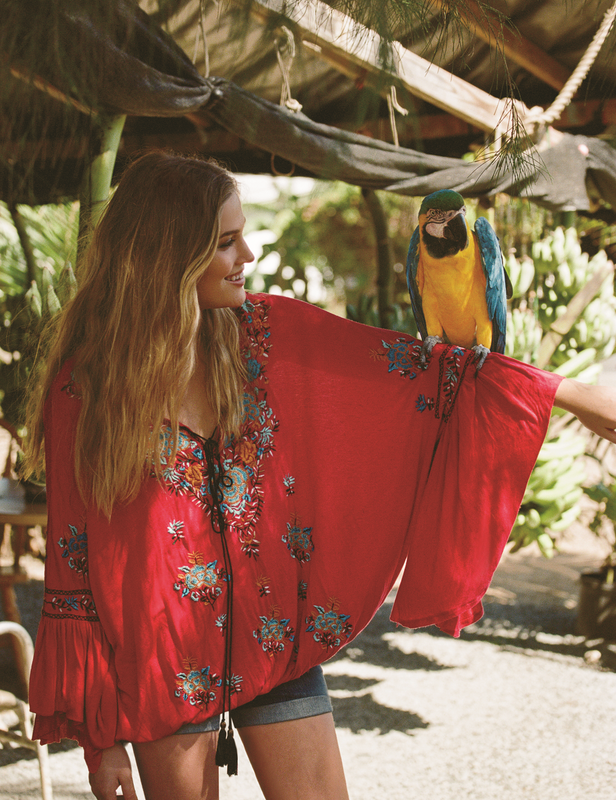 Free People's May 2016 lookbook includes Hawaiian-inspired hues and tropical prints that will be perfect for the sunny days ahead. Photographed by Graham Dunn, the brand enlists models Alena Blohm, Marine Deleeuw and Sonya Gorelova to showcase the beachy ensembles of our sun-kissed dreams. The lookbook showcases flowy maxi dresses, colorful bohemian tops, beach-inspired rompers, to-die-for tunics, beautiful two-piece bikinis, and flattering one pieces. In accessories, there are subtle arm cuffs, understated hanging earrings, seashell anklets, beautifully beaded chokers, the perfect beach tote, sandals, straw beach hats and sunglasses for every occasion.